"Since its inception in 1968, McPherson Wines has been on an uncompromising quest for quality and a commitment to the very finest in wine-making techniques... My father, Jock McPherson, worked in wineries in the early days of the industry in New South Wales. From him I learned the joys of winemaking, along with an honours degree in the use of colourful language. In 1974 I began winemaking in my own right, and have spent my working life to date in the wine industry. In 1993 I established vineyard holdings in the Murray Darling region near Mildura. This region principally surrounds the mighty Murray River, the source of much Australian folklore due to its beauty and majesty. I had my eye on the red brick soil of the Goulburn Valley in Central Victoria, and acquired 350 acres which offered great promise for cool climate red wines which today are used to grow the grapes for the Chapter Three and Basilisk wines. 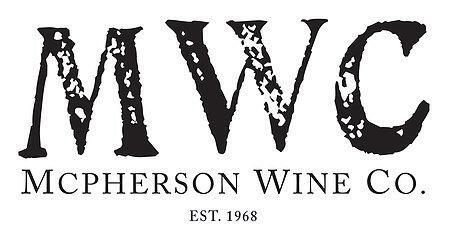 In early 2000, McPherson Wines opened our world class bottling facitily in Victoria. Located next to the winery just outside the town of Nagambie in Central Victoria, we bottle our own wines along with premium wines from wineries all over Victoria."